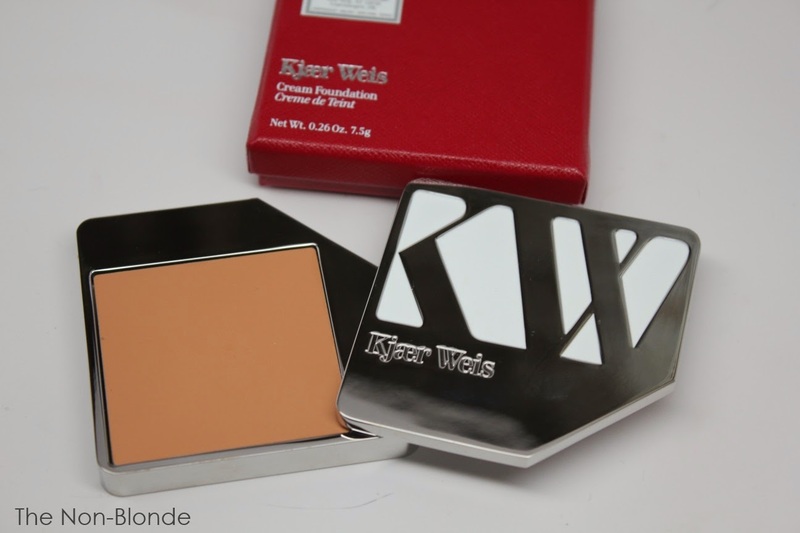 Kjaer Weis Cream Foundation has a beautiful skin-like texture and finish. It's neither dewy nor matte, but truly looks like skin. I've find it it to be an excellent outdoors foundation, very suitable to being out all day on a rainy day as well as on a hot and slightly sweaty one. I've worn the Kjaer Weis foundation over a moisturizer (Paula's Choice RESIST Daily Moisturizer SPF 25, as well as over a higher SPF layered with a moisturizer, and the foundation applied smoothly and stayed in place from morning to late afternoon/early evening with no change in color or coverage. That's quite impressive. The foundation has a good slip (reminding me of the old Chanel Teint Innocence more than the compact foundation from Burberry) and can be applied with a damp or dry sponge, a Beauty Blender, or even clean fingers. I also experimented with using a brush for precision and localized coverage, with reasonably good results, but you do need to make sure to blend the edges until they're seamless. 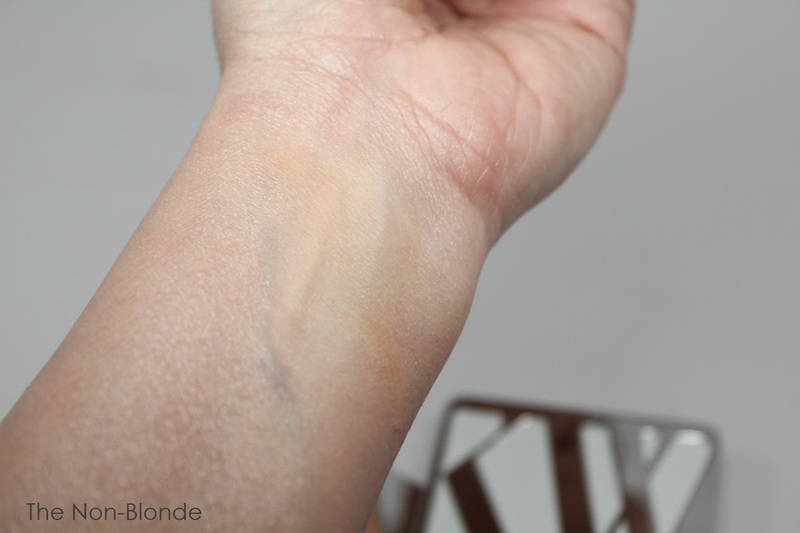 As a foundation that's often described as not requiring setting with a powder, I worried it would be slightly too dry, but at least under the conditions I tested this Kjaer Weis product there was no issue, and as a matter of fact, when I wore it out in the rain I did add a touch of powder with no visible caking/drying. Part of the secret, I think, is that you need far less product than you might think. The foundation is very concentrated and a small dot stretches to cover a large area. That's when the finish is at its best and most natural-- as you can see when comparing the photos: the smear of foundation at the top sits on the skin, while when fully blended (second photo) it melds with the skin. 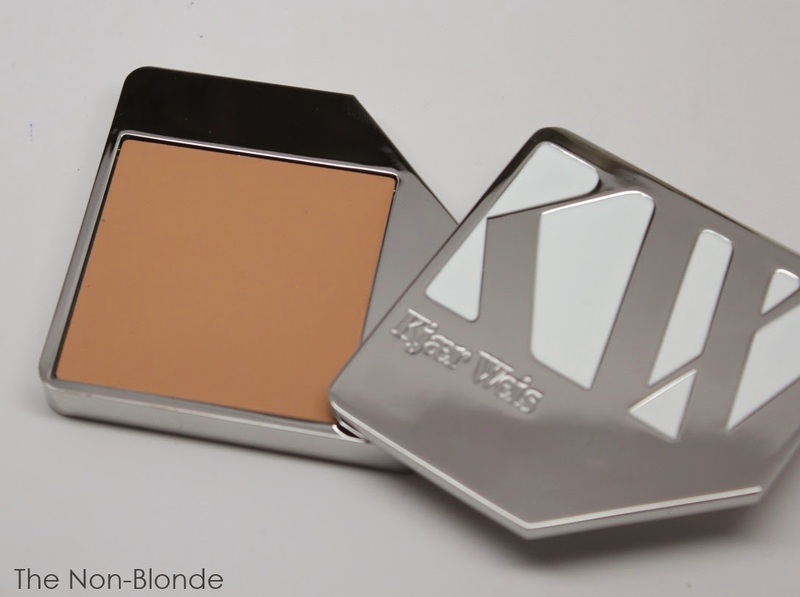 Kjaer Weis foundation comes in five shades, which is not nearly enough. But interestingly, because you need so little product the end result is more forgiving than the average cream foundation. 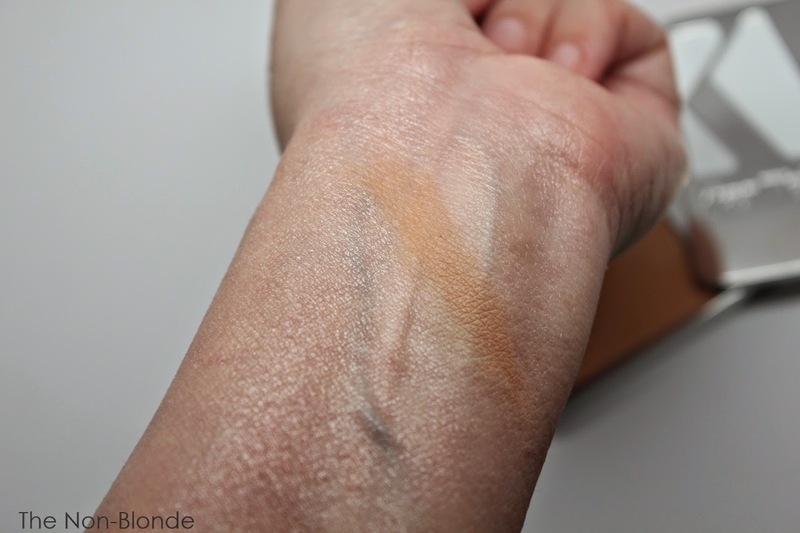 I wear the one in Illusion, a medium shade, which at first appears too yellow, but on face (where there's slightly more red tones than my wrist) it blends into a great match. The foundation is made in Italy and is certified organic. It's gluten-free, but since it contains coconut oil I have to keep a really good barrier between it and my naked skin because unfortunately I'm quite allergic. For everyone else, though, it's a great one to consider if you're looking for a fool-proof summer foundation. Kjaer Weis Cream Foundation ($68 with the compact, $40 for the refill) is available Osswald in NYC (also online or by phone) and directly from kjaerweis.com. The product for this review was a press sample.